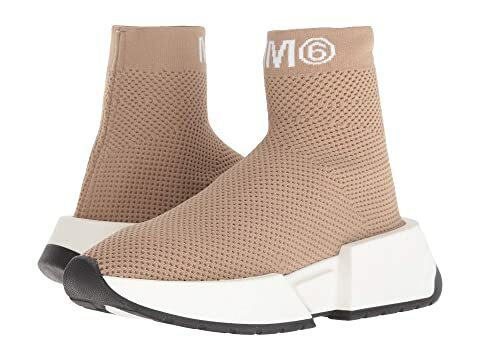 We can't currently find any similar items for the Logo Sock Sneaker by MM6 Maison Margiela. Sorry! The fit was good, I went up a full size because I have the Balenciaga sock trainers which run small. I’m normally 8 in women’s but in both shoes went with a 9 (size 39) which fit perfect. Not too big not too small, just right! Overall I love the shoes even though they look huge in person because of the style but they are really cute. Definitely recommend.